The Innevation Center is a 65,000-square-foot collaborative workspace and community event venue driving Nevada’s new “innevation” economy. The space was donated to the community by Switch Founder and CEO Rob Roy. Each month, the team at The Innevation Center host the CommunityCation Luncheon where they welcome the #VegasTech community into their space to enjoy lunch and gain inspiration from a community member. 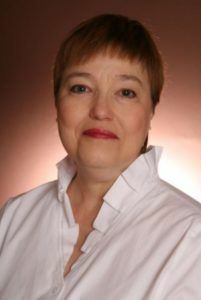 In August 2016, the speaker is Dr. Janet Runge. For years, Dr. Runge has been fostering innovation and entrepreneurship at University of Nevada Las Vegas. She is the founder, architect, and coordinator of the school’s undergraduate four-year scholarship Global Entrepreneurship Experience and Founder of the UNLV Center for Entrepreneurship. She is a pioneer in creating challenging and unconventional ways for UNLV students to channel their entrepreneurial spirit. This community event will be catered by Dickeys BBQ and will be held at The Innevation Center on Friday August 26, 2016 from 11:30am – 1:00pm. Register here!